​SDSU SWE will like to cordially invite you to Evening of Professional Development. Where: Montezuma Hall located on San Diego State University’s campus. The San Diego State University Society of Women Engineers, a non-profit student organization, would like to extend you an invitation for this year’s Evening of Professional Development. Evening of Professional Development is a unique networking event for both students and employers. The evening will begin with a career fair where internship and post graduate career opportunities can be explored. A banquet dinner and keynote speaker will follow the fair. Students will share a table with company representatives giving both companies and students a unique chance to gain personal connections, share guidance and exchange ideas. San Diego State University covers a wide range of engineering disciplines including Aerospace, Mechanical, Civil, Electrical, Computer Science, Environmental and Bioengineering. Evening of Professional Development will be open to all engineering and computer science students from SDSU. 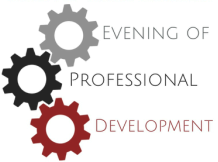 We would be honored to have your company participate in Evening of Professional Development. The following page explains different levels of tax deductible sponsorships. The deadline to submit a reservation is October 11th, 2018 by 11:59pm to swesdsuvp@gmail.com. Thank you for your consideration. For any additional information please contact Claire Pray at swesdsuvp@gmail.com. We hope to hear from you soon. Note: All packages are tax deductible. * Each EPD ticket will include the following: a full 3 course dinner and participation as representatives for your company during dinner.